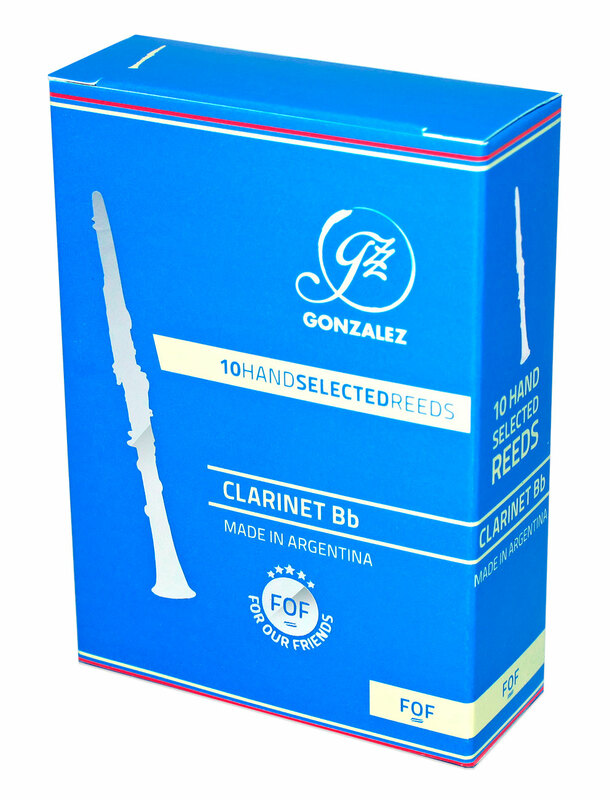 The Gonzalez FOF have proved popular with professional and advanced players. With an American cut they have a thickish tip and actually a thick heart as well. Because of this design they give a strong, rich, dark sound but do come up feeling harder than you may be used to. Advice is to come down 1/2 a strength on what you expect. The American cut is more suited to mouthpieces with a straight flat finish on the lay. For example the Vandoren M30, BD5, Rico Reserve X5 etc. American cut suits mouthpieces with American facing curve. Thicker tip and thick heart. Half a strength harder than Vandoren Rue Lepic and Blue Box. Supplied in pack of 10. So far the Gonzalez reeds are working out fine. So far, the reeds seem very consistent but we haven't had them long enough (6 days) to thoroughly test them. I tried them because of he intermediate strength. OK so far. We usually buy reeds for both clarinet and saxophone Dawkes has a wide range of very good quality and meet my expectation. Definitely an improvement on my previous reeds used. As a complete newbie clarinet player, having tried Rico and Vandoren reeds, I was over the moon when the first two Gonzalez 2.5 reeds out of the box gave me a rich and consistent tone without any squeals and squeaks that I have become accustomed to expect at my present skill level. Absolute magic. Wish you could have seen the "extended chin" smile. They work for me !!! Good quality reeds. meets requirements of an amateur musician.